Spinner is quite a handy widget when you have a set of options to select from. 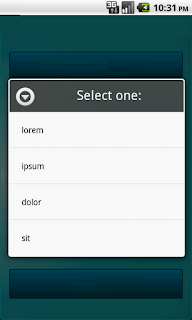 In the layout file, add the spinner widget with its width and height. Dropdown items of spinner can be taken from an array. Use an array adapter to attach these values to the spinner. But I faced a problem that text color and gravity for spinner. Text color was black and gravity was left even after setting proper values in xml file. Good. Now my spinner was looking nice with a background, an arrow, white text which is centered. Then changed this for dropdownviewresource. 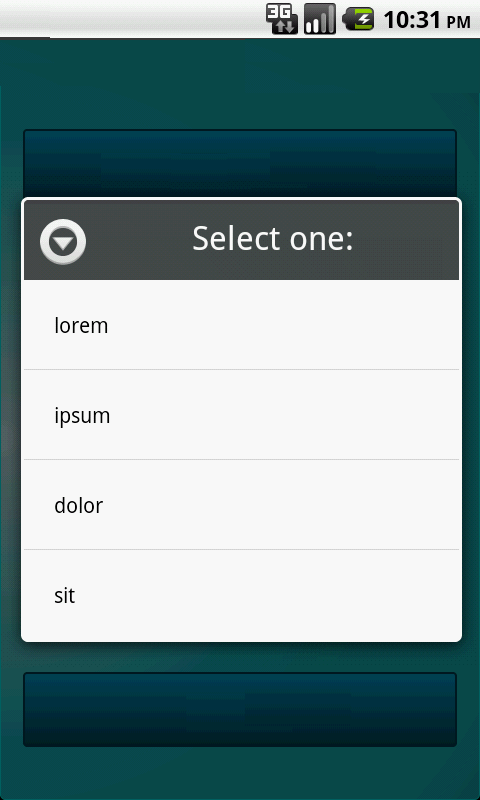 This textview is used for each of dropdown items in the pop up screen for spinner.